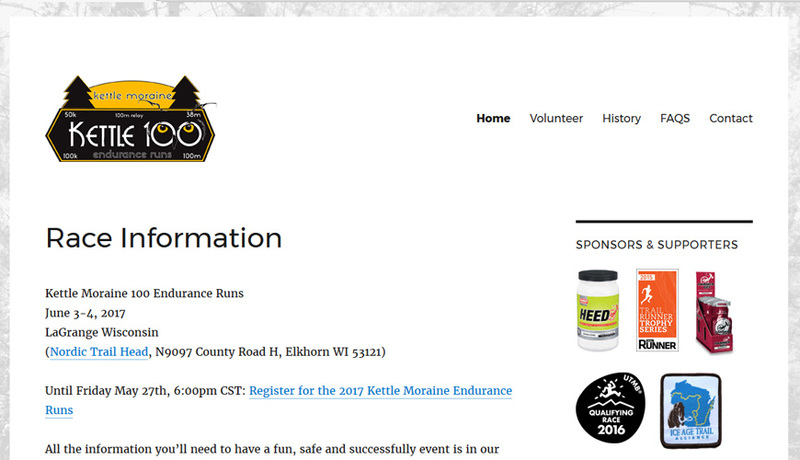 Kettle Moraine 100 Endurance Run is for people who want to run a very long distance. The “100” in the name means they run 100 miles and takes 30+ hours! The website redesign came to me because the previous site was made in an older site builder tool and was no longer maintainable. I am often asked for a “simple quick” website which is usually a request I would turn down. But after taking into consideration that this is not a business site, is a referral from a happy client, is a lightly used site with annual content updates and importance, I agreed and signed on to be webmaster. Yes and Yes, I see the basic website is perfect to get started. This is looking good. Thanks for starting things quickly. This will help give my runners the information they need.